Guys, this is a flavour bomb. It may be the best recipe I’ve ever made on the site. Ever. This is perfect for pre- holiday detoxing or keep this recipe bookmarked for after the holiday season! Just whatever you do, you gotta try this out! 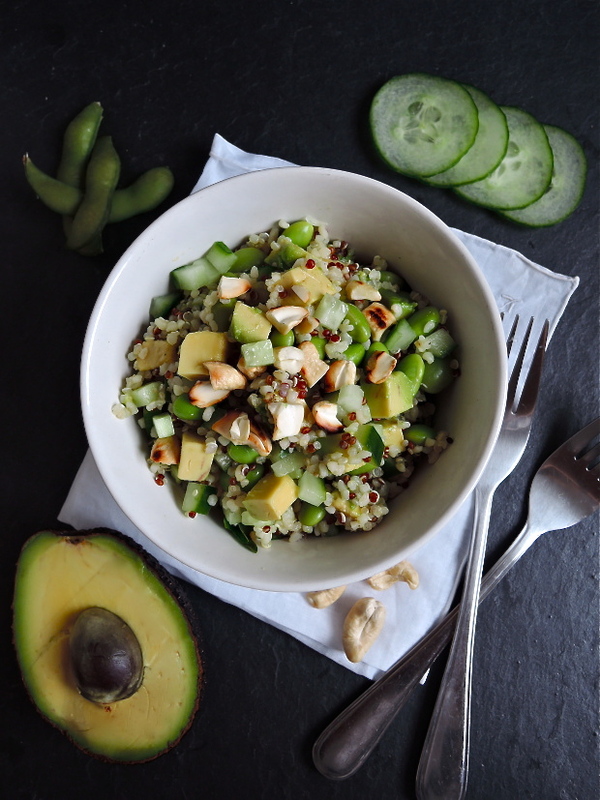 I’m not even joking right now I can’t believe how good this tastes – creamy avocado, crunchy edamame, nutty burnt cashews, cooling cucumber and quinoa to make it a full meal. And, OMG don’t even get me started on the dressing. I can’t! it’s just SO GOOD! This salad is the perfect combination of healthy and delicious. Filled with lots of green, clean ingredients and topped off with an Asian inspired dressing. 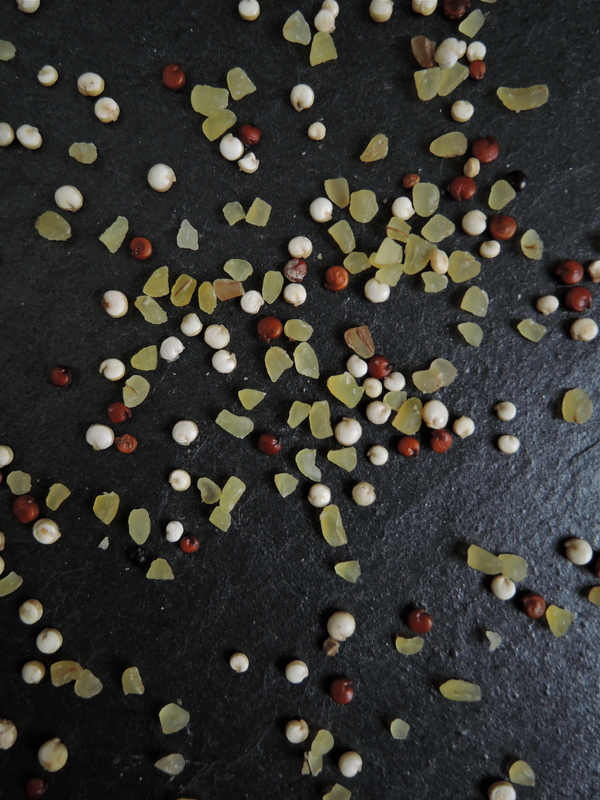 You first want to cook the quinoa (tutorial here). 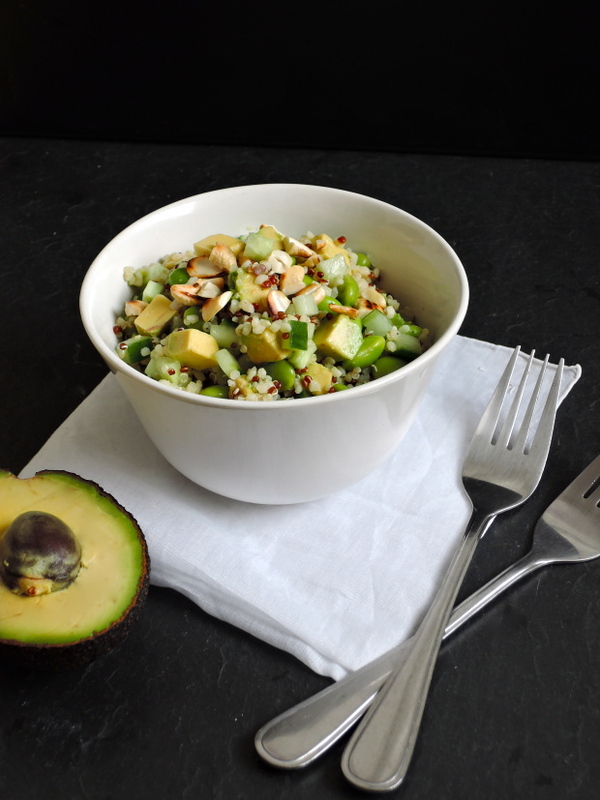 Once quinoa is cooked, mix it with the cucumber, edamame and most of the avocado. Set aside. You can then toast the cashews on a dry skillet. Toast them around of a few minuted until slightly burned. Add the dressing and half the cashews to the quinoa. Serve immediately and top with remaining cashews and avocado. 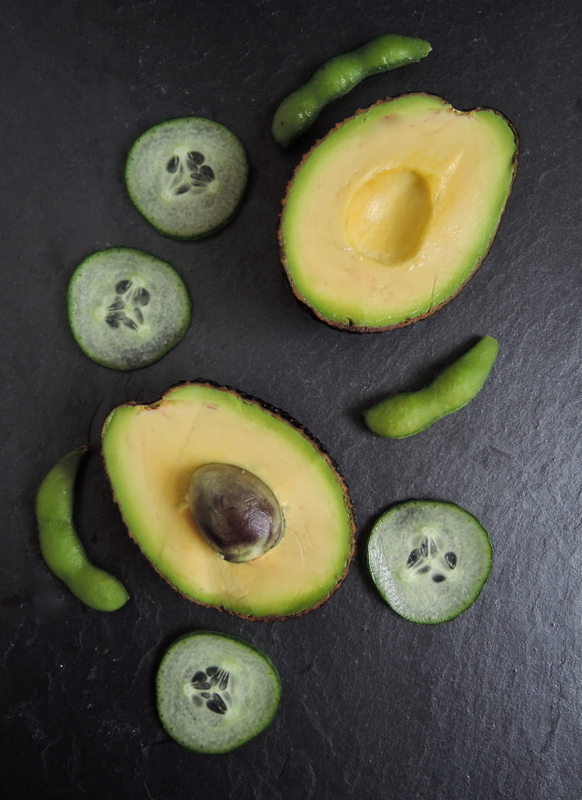 If not serving straight away, leave the avocado and cashews out as the avocado will brown and cashews may become soggy. Wow best recipe ever on your blog? I must give it a go! 😀 I’m always trying to detox at some stage (although it may only last a couple of days :P). I really hope you do Lorraine – I’m sure you’ll love it! Seriously I need to try this now!! Love all the flavors going on here! Thanks Ami – it’s really delicious I I do say so myself! 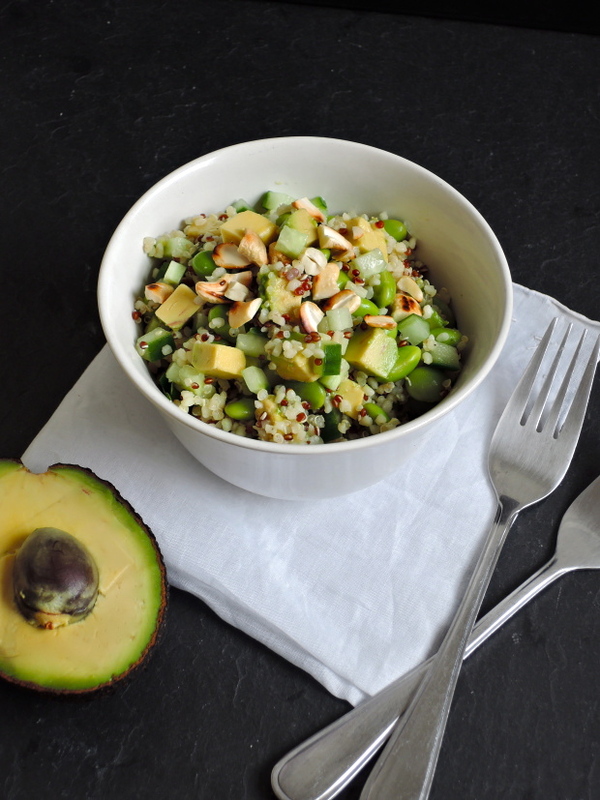 Just perfect – I adore quinoa and avo so will have to try. Lovely photos, too. Thank you Carmen! I hope you get to try this! Um… YUM!? This looks absolutely delicious and I definitely have to try it! I’ve never seen edamame beans before though… where do you get them from? Thanks Erin! You can get frozen edamame from Whole foods or Asian markets! (Or in takeaway sushi shops)! Sounds and looks delicious and good for you too, perfect! Thank you so much Lyndsay – means so much 🙂 hope you enjoy it! I’m sure you’ll love the fresh flavours! Such a nice blog! :) delicious salad! I have been obsessed with quinoa lately! This looks perfect for me! ooo i love quinoa! so good!! I’ll admit, we have never tried quinoa. But after looking at your blog this morning, I went out and got some. Crossing my fingers that mine turns out as lovely as yours!